Buy More, Save More! Purchasing multiple items? Add to cart to see extra discount. Free Shipping in the continental United States - Usually arrives in 3 to 12 business days. Financing Available - Low monthly payments. 100% tax deductible. Startup businesses accepted. Seeing is believing - Visit our showroom and receive Airfare Reimbursement. #079 Silver, Ivory & Dark Grey Ombre covers all shades in between the dark to light spectrum. 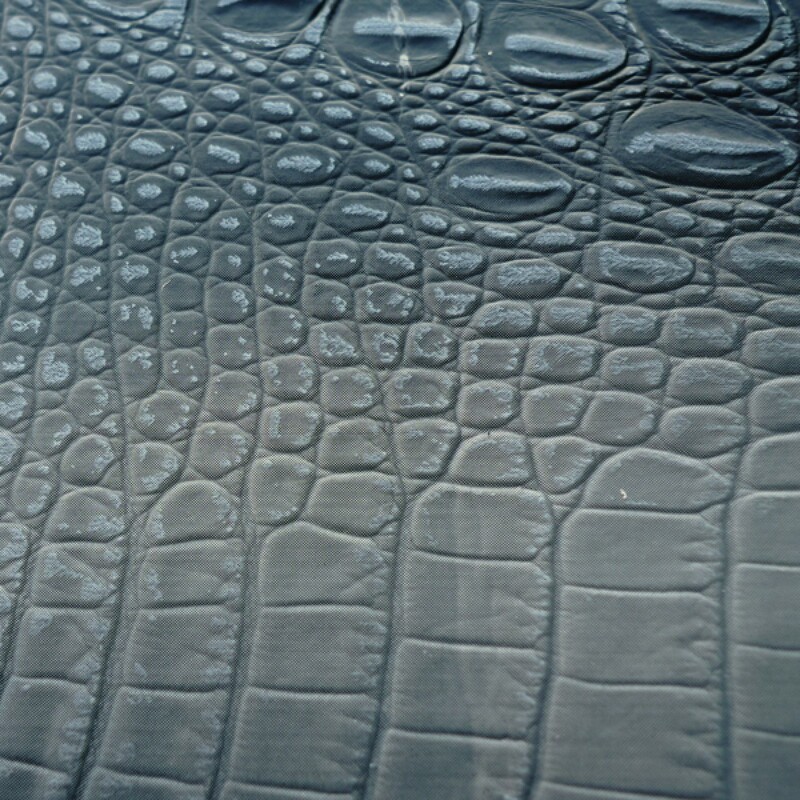 It is textured with ridges and circular patterns, just like real crocodile skin. This is one of the colours of our regular fabric swatches. These colours and text descriptions are for reference only. Actual colour may vary greatly due to the variety of computer monitors used in viewing colours. Please always request for a fabric sample before you order. Please choose the product type you'd like to customize, enter the quantity of the items then add to shopping cart. Custom colours are made to order, please allow 8 to 10 weeks to ship. Custom colour orders are not returnable/refundable. IGNITE YOUR BUSINESS: APPLY FOR FINANCING NOW! QuickSpark Financial specializes in equipment lease-to-own financing for companies of all sizes. We provide our partners with more capital flexibility to help ensure their success in the demanding world of business. GENERATE REVENUE AS YOU PAY Financing affords you the option of getting new equipment now and paying for it in small, manageable payments. You can start earning money with your new equipment before your first payment is even due! LOW MONTHLY PAYMENTS QuickSpark offers monthly payments that range from 12 to 60 months and ensure the best fit for your business. We also offer Variable Payments upon request that can be matched to seasonal cash flow variations. 100% TAX DEDUCTIBLE Section 179 of the IRS Tax Code allows your business to deduct the full purchase price for the equipment you finance! Most business’ get to deduct 100% of the total equipment costs. Consult your tax advisor for additional information. KEEP LINES OF CREDIT OPEN Keep potential lines of credit open for financial emergencies and use our financing to help build your business credit. Step 1. Browse AGS BEAUTY online store and add all the items you are interested in to the shopping cart. Step 2. Click on the "Finance As Low As $$$/month" icon under the Grand Total and you will be re-directed to the secure application page. Step 3. Fill out the application form and submit your application - Applying is free and there is no obligation attached ! Step 4. A finance manager from QuickSpark Financial will reach out to you. Step 5. Upon approval of your application, you will agree on the terms and rates and have documents signed. Step 6. QuickSpark Financial will pre-fund your purchase and your order will be shipped out. Step 7. Enjoy the brand new equipment and growth of business. If you are located in these areas, please choose "Save For Later" as the payment method during the checkout process. We will get back to you with a quote to confirm your final costs before you pay for your order. * Canadian Customers: For all orders that require a shipment to cross over into Canadian boarders there will be a shipping fee applied. The shipping fee is approximately 25% - 40% of the total order value. The shipping fee will include - Standard shipping into Canada, Duty, and Customs Clearance. Please have below information ready before you contact us for a shipping quote - Product Name or SKU, Custom Options, Quantity, Shipping Address and Postal Code. You may choose "Save For Later" as the payment method during the checkout process, or contact us via phone or email. Your order will be shipped in individual boxes by FedEx Ground on door-to-door basis. If your shipping address is a Commercial Address, all the costs are final. If your shipping address is a Residential Address (including businesses located in a "Residential Area" as determined by FedEx), a special handling fee of $20.00 per item will be charged. Your order will be shipped on pallets by a freight company on "Curbside Delivery" basis. Curbside Delivery means that your items will be delivered by truck to the curbside and it's NOT the responsibility of the truck driver to unload or assemble your shipment. It will be entirely your responsibility to remove the pallets off the truck and bring them inside. Once the shipment arrives at your local terminal, the shipping company will contact you by phone to schedule the date for delivery - usually in the morning of weekdays. The pallets might be very heavy and may require 2 or more people to unload the shipment. Liftgate Service (a closure at the rear of the truck that can be mechanically raised helping you unload the cargo) is available at an extra cost of $40.00 per shipment. You are strongly recommended to use Liftgate truck if your order contains heavy items like barber chairs, styling stations, shampoo backwashes, reception desks, multiple chairs, etc. Extra cost for Inside Delivery (The driver will place the pallet(s) into the first threshhold only and will not take into a room of choice) is $200 per shipment. Inside Delivery is not available for shopping malls or if your door is not wide enough for a standard pallet to go in. If your shipping address is a Residential Address (including businesses located in a "Residential Area" as determined by the freight company), a special handling fee of $100.00 per shipment will be charged. If you are unsatisfied with AGS Beauty's merchandise we do have a standard 30 days return policy from the date the order was shipped. Unlike our competitors, we do not charge restocking fee on most of our products. The only exception is, due to the nature of the product, all shampoo bowls or shampoo backwash units that have been used will incur a 20% restocking fee. All returns must first be approved by our sales representatives in advance. Please call (503) 762-3228 or email return@agsbeauty.com for authorization. Once an authorization has been approved please download Return Request Form. Fill out the form and include a copy with the product to be shipped back with. Products being returned must be in like-new condition with original packaging. For all returns the customer will be responsible for finding their own shipping company and also be responsible for all return shipping charges with no exceptions. Once we receive the product back at our warehouse our technicians will inspect the items and we will credit you back on the original form of payment. Please keep in mind any damage occurred to the product during return shipping will also be the customer's responsibility and will be deducted from your refund amount. All "Clearance" items are final sale, non-returnable or exchangeable. All custom orders (custom fabric colours, wood colours, special designs, etc.) are non-refundable and we don't accept cancellation once production has started. Any delivery and handling fees are non-refundable as well. AGS Beauty offers one-year limited warranty on all of our products unless specified otherwise. A warranty does not entail the product to be returned, but implies parts will be sent out for repair. If the product is considered to be irreparable by our technicians then an exchange of product will be authorized. To request a replacement, please email the pictures and videos to: quality@agsbeauty.com. Upon communication and agreement with our replacement/technician team, replacement parts will sent out via FedEx or USPS standard shipping. Expedited shipping will be an extra charge, which the customer is responsible for. AGS BEAUTY shall not be liable for abuse, misuse, normal wear and tear, alteration, improper maintenance, unauthorized repair, design concepts, any chipping, fading, staining, peeling or any acts of nature (fire, water damage, freeze, etc.). Hair Dryers: 1-year manufacturer warranty covered by Highland Machine. You may order your chairs or shampoo units in custom colours. 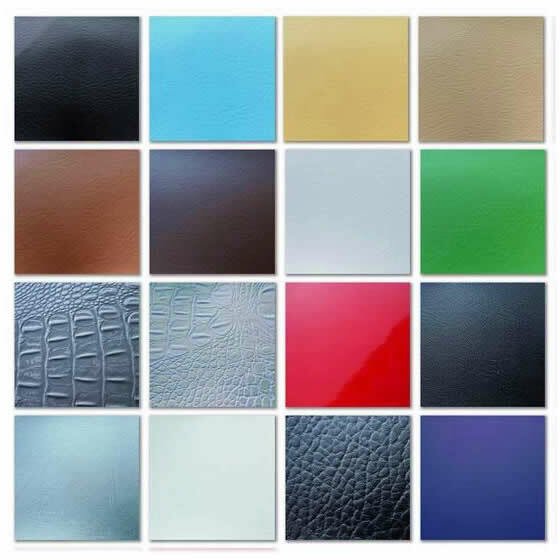 More than 20 colours are available to choose from. Customized colours are made to order and subject to extra cost, and please plan ahead and allow 6 to 12 weeks to ship. Being the original manufacturer enables us to provide the most competitive prices in the market. We beat the prices of importers and distributors without sacrificing quality, and extra discount is available for bulk purchase - buy more and save more! Shipping within continental U.S. is FREE, and we also ship to Canada, Hawaii and Alaska - please feel free to contact us for a quote! Your order generally ships out within 3 business days and delivers in 3 to 12 days. Your purchase with AGS BEAUTY is backed by excellent warranty, and we also offer the best return policy in the market. AGS BEAUTY uses Secure Sockets Layer (SSL) technology to provide you with the safest, most secure shopping experience possible. SSL technology enables encryption of sensitive information during your online transactions. All of the forms on our site are secured with SSL technology so your personal information stays safe and out of malicious hands. AGS BEAUTY is the brand set up and operated by AGS Corporation offering a large selection of professional salon equipment & furniture. Whether you are setting up a new hair salon, about to refurnish your existing beauty salon or trying to equip a large hair and cosmetology school, AGS BEAUTY can provide for all. Products - We supply a complete range of beauty salon equipment and hair salon furniture including all kinds of salon chairs (styling chairs, barber chairs, shampoo chairs, cutting stools), salon stations, shampoo bowls & backwash units, dryer chairs & hair dryers, beauty beds, reception chairs & sofas, salon carts & trolleys, floor mats, hydraulic bases, etc. Manufacturing - We invest and operate our own manufacturing base. In the past 20 years we have been manufacturing salon equipment & furniture for top brands in European and North American countries. We perfected our craftsmanship and have the knowledge and expertise to place the whole production process under strict American quality control, to supply you with stylish, comfortable and yet durable furniture. We stand behind the quality of our products, thus we offer excellent warranty along with it. Craftsmanship - Our goal is to delivery the finest salon furniture in the industry however keep them at affordable price, to achieve this only carefully selected materials and suppliers will be used. Just name a few as example - the upholstery is top grade vinyl which is very soft and resembles the feel of real leather; the cushion of chairs is made of high density memory foam which offers extra comfort and endures longer period of use; the hydraulic pump comes with 2-year warranty and holds up to 800 lbs of weight; the bases are made of steel of extra thickness and over-sized diameter so that it never yields or wobbles under heavy weight; the arms are made of finely polished stainless steel which has the gloss finish as chrome-plating however is rust-free and hardly gets scratched, etc. We love our products and we are proud of them, feel free to call us if you wish to learn more about the secret of the making of chairs. Prices & Discount - Unlike most of our competitors, being the original manufacturer enables us to provide the most competitive prices in the market. We beat the prices of importers and distributors without sacrificing quality, and extra discount is available for bulk purchase - buy more and save more! Sales & Services - For all of our products we offer free shipping within the continental U.S. and there is no sales tax. We will be glad to answer your questions regarding our products or services, please don't hesitate to call or email us. Locations - We are located in Portland, Oregon near the Portland International Airport - everything will be shipped from here. You are always welcome to visit us to meet with real people and talk about your design and plans face to face. 19786 NE San Rafael St.
Showroom is open to the public. Appointments are preferred.